At Outsource2india (O2I), we offer an array of film services such as Storyboarding Services, Video Editing Services, Animation Services, and Music Composition Services that can help you tremendously in making a movie. Doing all these services in-house involve a lot of expenses. But by outsourcing your film services to O2I, you will not only receive cost-effective services, but also gain resources with more than 20 years of industry experience who analyze and understand your requirements and provide services based on your need. We adhere to ISO quality standards, and ensure that you receive projects that are creative and help you captivate your customers' attention. At Outsource2india, the storyboarding process involves the planning of a video project in a sequential format. At first, our artists draw a simple sketch of the desired shot. Along with this, the accompanying audio is decided and the duration of each shot is calculated. The only thing that you would require to send us would be the final version of your script. At Outsource2india, we also provide Character Designing, Script Writing Services, Motion Graphics Services and Animatics Services for all your requirements. Our highly skilled artists are well-trained in the art of storyboarding. Read storyboarding tips for short films. With Outsource2india's well-designed storyboards, you can help your directors, cinematographers, and any other important client to visualize the scenes before making a movie. This is very beneficial as future problems can be spotted and ironed out before taking the movie. With the use of storyboards you can analyze where you would need to spend more money. At Outsource2india, we add all the details pertaining to a particular shot. Such details can give you a preview of your film even before you make it! Outsource your storyboard services to O2I and benefit from our expertise. We also provide illustration services using Adobe Illustrator or hand-drawn illustrations and pencil sketches to make your film storyboards come to life. At Outsource2india, we have professionals who are experts in video-editing. 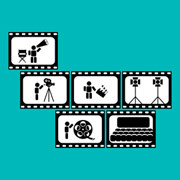 We would only require your footage, be it for film, an ad, or television along with your ideas. Our professional video editors analyze the nature and scope of your project and re-arrange or modify sections of the footage to form another video. While editing, our editors will remove unwanted shots, scenes, or sections of the video and follow a sequential order of time to form the new edited video. At Outsource2india, we use the process of non-linear editing. Our video editors are skilled and well-versed in Adobe Premiere, Avid, Final Cut Pro, and other such editing software to edit footages given to them. In the next stage, clips are arranged on a timeline and music, titles, voice-overs, and effects are added. Once this is done, we send you the edited video in any format that you may require that can be CD-ROM, DVD, Web Streaming, Videotape, or any other format. Expertise in Edius Pro is one of the strong suits of O2I.We take the input in any format of modern SD or HD resolution videos, and utilizing the advanced features and capabilities of Edius Pro, our experts generate a high-quality video composition that will captivate your audience. Learn more about our professional Video Editing Services, Edius Video Editing Services and Movie Editing Services. Outsource your video editing services to O2I and benefit from high-quality and professional video-editing services at a low cost! Read our well-researched article where we list the 10 quick and effective video editing tools for businesses. Whether you require soundtracks, voice-over, audio editing, or dubbing, Outsource2india can offer you all in a cost-effective manner. Our professional music composers and music directors are both talented and creative. Outsource2india's composers are skilled in writing instrumentation, musical notation and handling musical ensembles. We can compose the right jingles, audio logos, or mnemonics for you. Just give us the brief and we will compose music of any style that you prefer, be it modern, classical, fusion, or any other style. We will keep your specifications in mind and compose music according to the tempo, length, and key of your choice. Outsource to O2I for creative music compositions. Contact us to outsource film services to India. Discover more about how outsourcing animation services to O2I can give your organization a competitive edge.